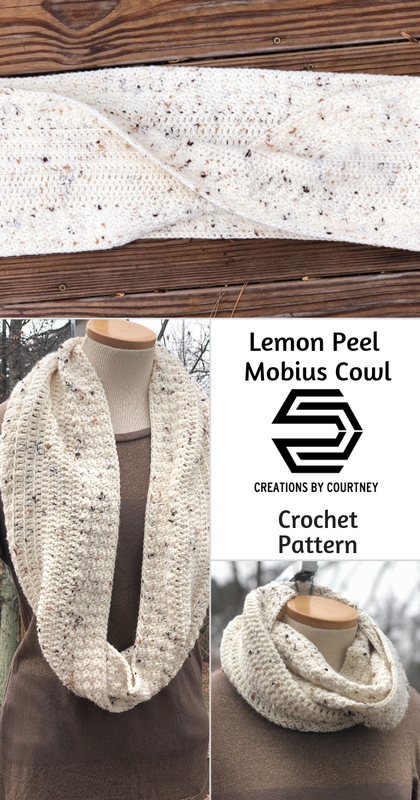 The Lemon Peel Mobius Cowl is an easy design that utilizes the lemon peel stitch and foundation double crochet stitches. That’s it! 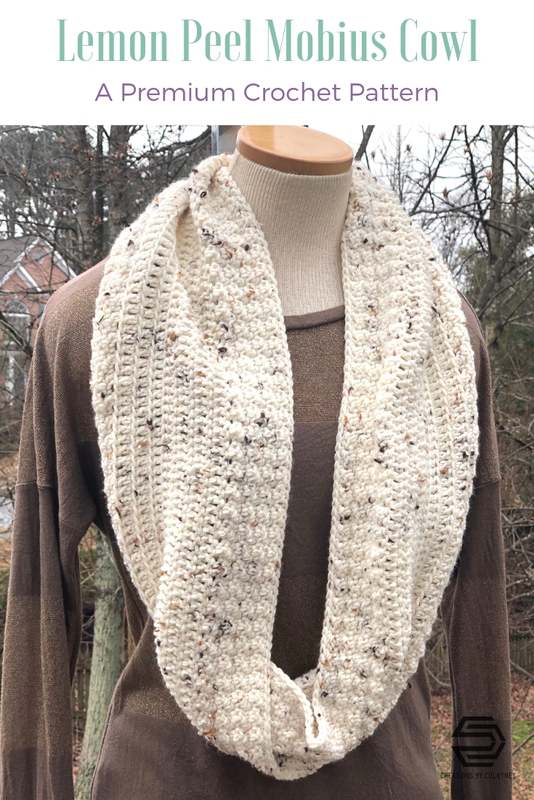 If you’re not familiar with the lemon peel stitch, it’s just a simple repeat of single crochet in one stitch and double crochet in the next stitch. If you’ve been hanging out with me for a while, you know that I really enjoy this stitch since it’s easy and creates lovely texture. 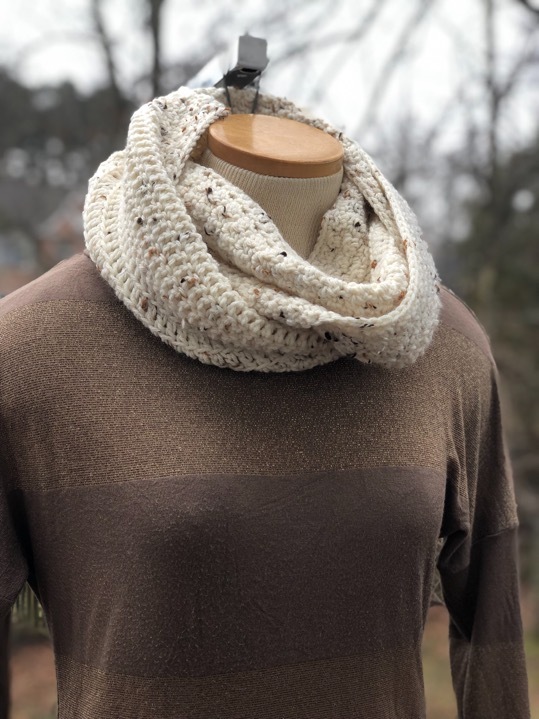 Here are more patterns that use this stitch combo. It’s so versatile! 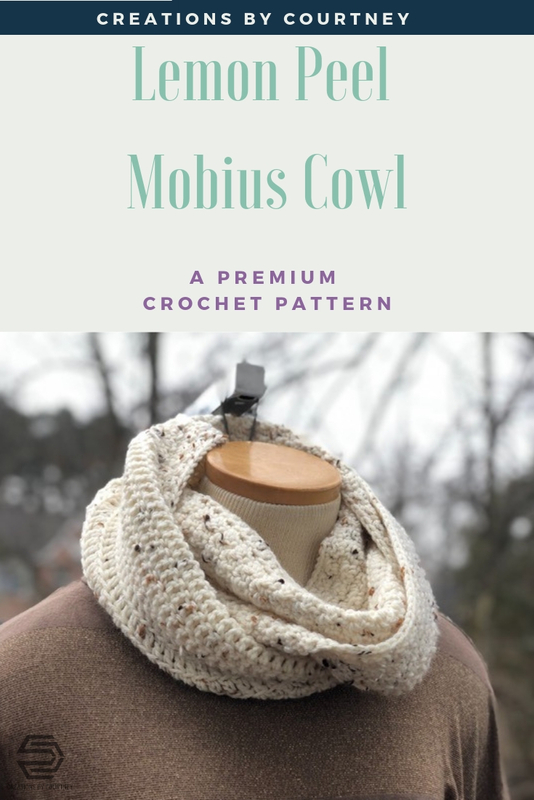 Not sure what makes this cowl a mobius, it’s the twist. The correct spelling is möbius, which refers to a one-sided surface that is created from a rectangle by holding one end fixed, rotating the other end 180 degrees, and joining it to the first end. 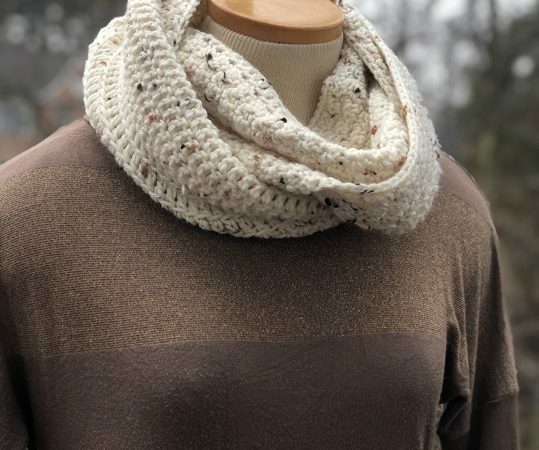 In the crafting community, we just refer to the mobius as a twisted infinity scarf. Be sure to turn after each round. 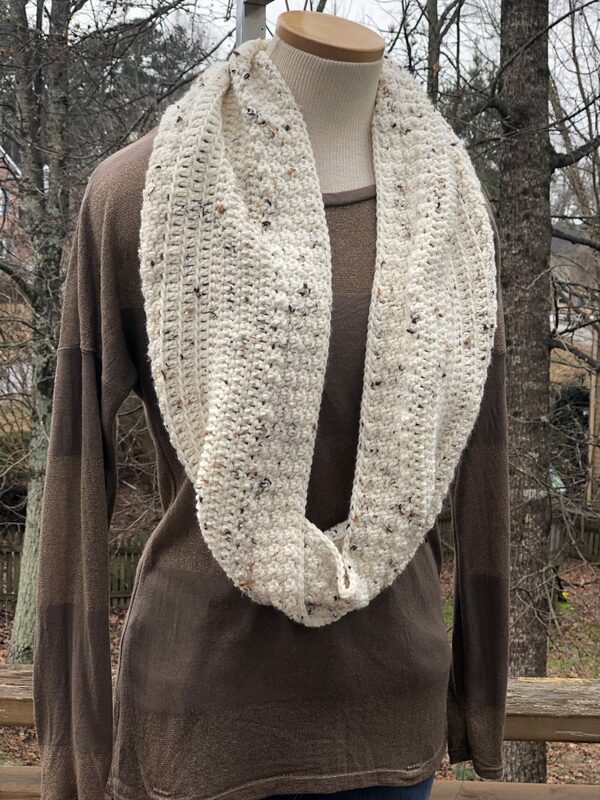 Cowl can be made thinner or wider by making fewer or more rows; such changes are not accounted for in the yarn total. Don’t forget to join the Creations By Courtney Community for exclusive giveaways, coupons, and CALs.